Looking for some help! My 1979 cb650 carburetor looked like it had sat on the bottom of the ocean.. I tired to take pictures of everything as I took it apart but low and behold when emptying out the ultrasonic clean this part was discovered. 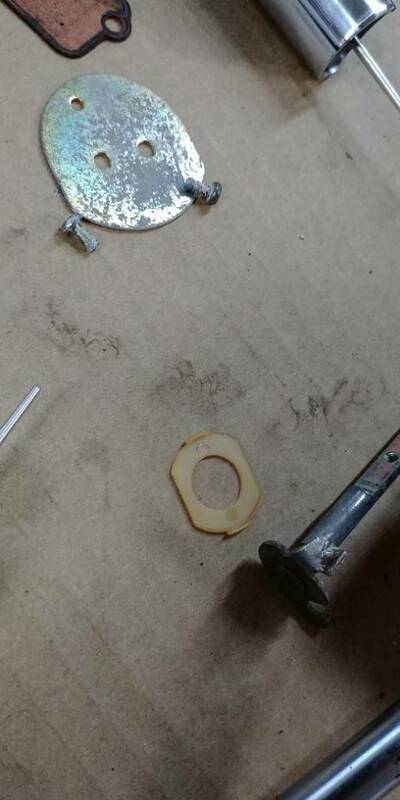 Can't seem to find on any diagram or picture where this little plastic washer goes. Any help much appreciated! The 1979 CB650 should have PB51A carbs on it. The VB44 did not arrive until 1981. The VB44A's were used on the 1981 and 1982 CB650 and CB650C, and the VB44C's were used on the 1982 Nighthawk.